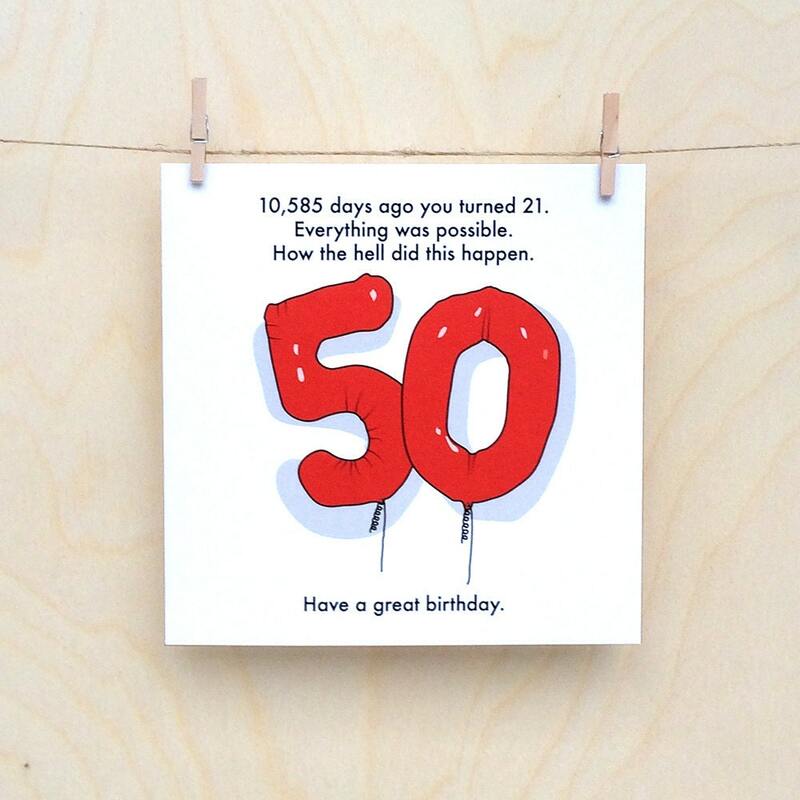 This 50th birthday card is the question that should be asked of someone that is 50. How the hell did that happen. Also one must face ones own mortality and there is no better time to make a loved one or passing aquaintance deal with that than on a monuments birthday. Amusing greetings card printed on 145mmx145mm 300gsm matt card. Professionally printed. comes with envelope in cellophane wrapper. Shipped in hard envelope.